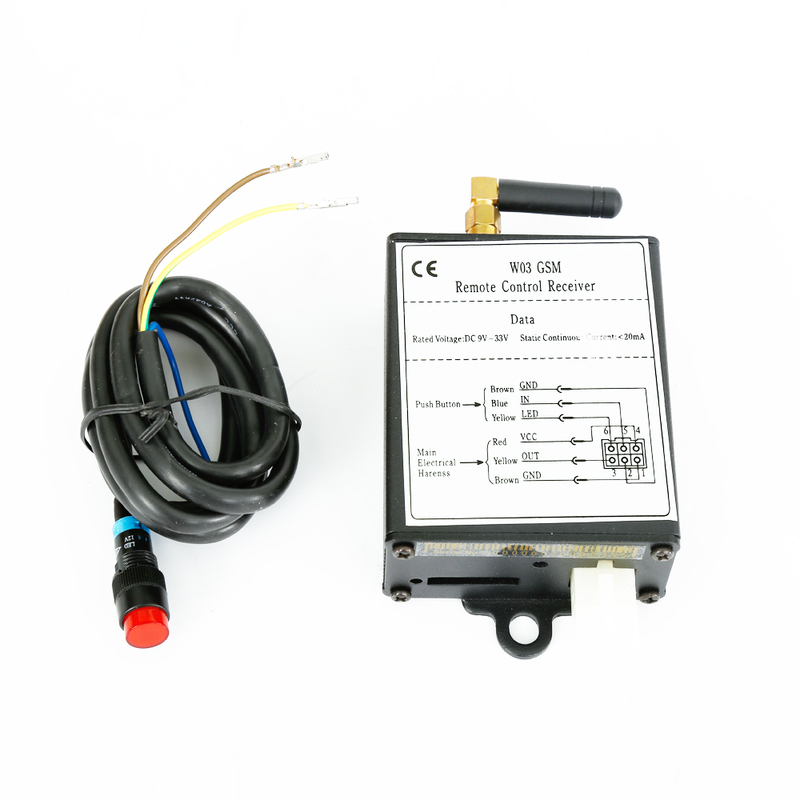 This GSM/GPRS controller allows control of GC air and coolant heaters through a voice call or SMS. It allows instant start and delayed start of the units. This controller requires SIM card to operate. Compatible with Digital Timer GC0653(air) and GC0680(coolant). GSM/GPRS control unit is an optional device that allows control of the heater through text messages or a voice call. A SIM card should be purchased and installed into the unit to make it work. This unit does not require data to be added to the plan. GSM/GPRS kit includes GSM unit itself and a button that should be installed near the analog or digital controller of the heating unit. The button is used to stop the heating cycle and to reset the password to default (hold button for 3 seconds to reset). GSM/GPRS unit should be installed as close as possible to the windows of the vehicle, and as far as possible from metal objects such as frame or chassis of the vehicle and wiring. Heating duration set by voice or text can be set between 15 and 45 minutes.